Imagine driving around Venice, FL in a stylish midsize SUV that shines at tackling a variety of driving situations with ease. If you can see it, you can live it in the 2016 Honda Pilot The largest of Honda's vehicles is all-new and fresh from a ground-up redesign and you will be head-over-heels for this stylish SUV the moment you set foot on the lot at Venice Honda in Venice. The all-new Honda Pilot is here and we couldn't be more thrilled to show you every inch of this amazing vehicle. 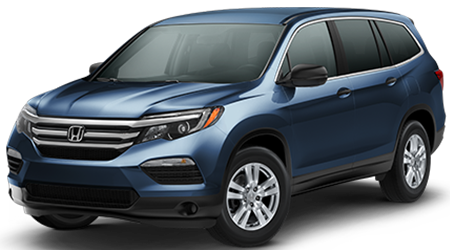 Our Venice Honda dealership is stocked up with a wide selection of new Honda vehicles, including the all-new Pilot SUV, and we are easy to get to from anywhere in the greater Venice, FL area as well as the surrounding areas. Come and see us today and find your next favorite car! As one of the most popular vehicle segments on the road today, there's a lot of competition in the midsize SUV class. The 2016 Pilot is once again pitted against the Toyota Highlander, but this battle is already won, thanks to the Pilot's spirited engine, spacious interior, and advanced features. To fulfill all of your driving needs, midsize SUVs are equipped with powerful engines that offer towing capabilities as well as the ability to pass fast-moving traffic or to merge easily onto freeways and highways. Thanks to new and innovative engineering on the part of Honda, the 2016 Pilot's engine is now more fuel efficient and more powerful than the Toyota Highlander's. The Pilot features a 3.5-liter V6 that makes 280 horsepower and 262 pound-feet of torque. 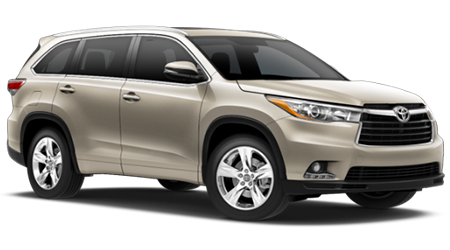 The Toyota Highlander can come with a 2.7-liter inline four-cylinder that makes 185 horsepower or a 3.5-liter V6 that produces 270 horsepower and 248 pound-feet of torque. The Honda Pilot can easily outpace the lower-powered Highlander engines, and is able to tow up to 3,500 pounds with front-wheel drive or up to 5,000 pounds with all-wheel drive. The Highlander can only manage 1,500 pounds with its four-cylinder and can only manage 5,000 pounds with its higher-priced V6 option. When properly equipped, the Pilot is capable of returning 20 city/27 highway mpg with its V6 engine, while the Highlander can only get 20 city/25 highway mpg with its four-cylinder power plant, Highlanders with the V6 earn only 19 city and 25 highway mpg. Looks like the Pilot wins this round! If you have eight passengers to haul, both the Honda Pilot and the Toyota Highlander can handle that number. To keep your passengers comfortable, however, you need ample space for all eight people. Luckily, the 2016 Honda Pilot has a massive interior that can easily accommodate eight passengers of any size. The Pilot has an interior volume of 170.2 cubic feet while the Highlander has an interior volume of 158.7 cubic feet. Feeling cramped in there, Toyota? The 2016 Pilot is also able to carry a lot more cargo than the Highlander with a maximum cargo capacity of 109.2 cubic feet (that's with all three rows folded down). Compare that to the Highlander's maximum cargo capacity of just 83.7 cubic feet (again, with all rows folded down) and you can see that the Highlander just doesn't hit the mark. Don't leave anything or anyone behind, choose the 2016 Honda Pilot! In order to keep you and your passengers comfortable on a regular basis, the Pilot has been given an extensive list of interior features in every trim level. With the Pilot's spacious and comfortable interior, you will want to use this amazing midsize SUV every day. Standard features on the 2016 Pilot include push button ignition, cruise control, power door and tail gate locks, a multi-functional center console with storage, sliding sun visors, a remote-release fuel door, four cargo area tie-down points, map lights for all rows, and a hidden storage well. You also get Bluetooth for phone calls and audio streaming, speed-sensitive volume control, a USB port with charging capability, a 5" audio display screen, and a 200-watt stereo with seven speakers (including a subwoofer) as standard on the base model Pilot LX. The Highlander makes you settle with just six speakers, map lights only in the front two rows, a manual fuel door release, and no hidden storage bin. The 2016 Pilot wins it with better interior features all-around! If you have been looking for a midsize SUV that can carry up to eight passengers in comfort, safety and style, then check out the 2016 Honda Pilot at Venice Honda in Venice, FL. With the Pilot's powerful engine, spacious interior, and excellent fuel-efficiency, the Honda has the edge over the Toyota Highlander. Come and visit us today at our Honda dealership in Venice and find the 2016 Honda Pilot that fits perfectly into your life! *19 city/27 highway/22 combined mpg rating for 2WD 6AT models. 18 city/26 highway/21 combined mpg rating for AWD 6AT models. 20 city/27 highway/23 combined mpg rating for 2WD 9AT models. 19 city/26 highway/22 combined mpg rating for AWD 9AT models. Based on 2016 EPA mileage ratings. Use for comparison purposes only. Your mileage will vary depending on how you drive and maintain your vehicle, driving conditions and other factors.